Was The Minnesota Iceman A Real Bigfoot? The Minnesota Iceman legend started in the 1960's and then kinda of went into obscurity until recent years when a body that was said to be the Iceman surfaced. The original alleged creature was taken on tour across the nation in the late 60's and then seemed to disappear from the public eye. A replica or perhaps the Iceman that was on tour, can now be found in Austin, Texas at The Museum Of The Weird. A guy by the name of Steve Busti bought the Iceman for his museum. You can listen to the podcast on Monster X Radio where Steve Busti talks about the Minnesota Iceman and his Museum Of The Weird. 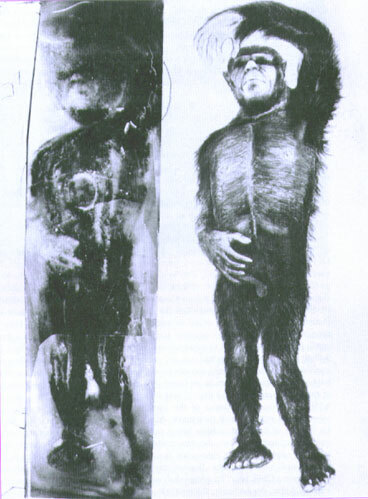 Was the original Iceman a real Bigfoot? Mike Rugg of the Bigfoot Discovery Museum, talks about the Minnesota Iceman.